Q: First, what is aortic stenosis? A: Aortic stenosis is a condition where one of the heart valves becomes thickened and calcified so it does not open properly. This puts strain on the heart as it is pumping blood through a pinhole opening. This is usually seen in older individuals and can lead to symptoms such as shortness of breath, chest pain or even passing out. Furthermore, we know that when we replace the valve patients feel better and they live longer. Traditionally, these patients were treated with open-heart surgery; however, a new technique has emerged in the last 17 years known as TAVR. Q: Tell us about the TAVR procedure, or Transcatheter Aortic Valve Replacement. What does it entail? A: TAVR is a technique whereby the valve is replaced via the leg artery using small incisions. 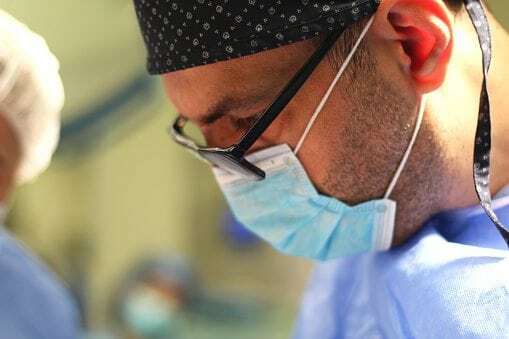 This procedure was initially developed to treat patients who had aortic stenosis and were denied open-heart surgery because their risk for surgery was too high. Hartford Hospital has performed over 1,000 TAVRs in patients since FDA approval in 2011. Q: Hartford Hospital was one of the first hospitals nationally to participate in a study involving TAVR and “low-risk” patients. What have you learned? A: Hartford Hospital was among the original research sites in the Edwards PARTNER 3 low-risk trial. We are one of a small number of centers across the country to offer continued access to TAVR for patients who are considered low risk for open heart surgery. The study’s principal purpose is to investigate the long-term outcomes associated with TAVR in the low-risk population. The results of this trial demonstrated that TAVR clinical outcomes were superior or at least as good as open-heart surgery clinical outcomes out to one year. The results of this low-risk study were published in the New England Journal of Medicine a few weeks ago. Although the PARTNER 3 trial was overwhelmingly positive, low-risk TAVR will take some time to achieve approval by the Food and Drug Administration to allow for widespread commercial use. While the FDA has not yet approved TAVR in low-risk patients, we have access to enroll low-risk patients in our study and allow them to have TAVR if deemed appropriate candidates. Q: The cardiac team at Hartford Hospital has been performing TAVR for high-risk patients many years. Who would be a candidate for high- and low-risk TAVR procedures? A: Here at Hartford Hospital, patients are evaluated by a heart team consisting of cardiac surgeons and cardiologists. Over the last seven years, we have become one of the largest TAVR programs in New England. Through our heart team approach, we are able to identify appropriate candidates for TAVR as well as patients who may be more appropriate for open-heart surgery. We work with patients and their families through a process known as shared decision-making to find the right procedure based on their medical conditions as well as their goals and preferences.